CarpLife Publications is a collaboration, combining the efforts of like-minded anglers to provide angling material in a new way. Brand CarpLife will include everything, from photographic diaries, inspirational stories, to those timeless moments of comedy and even fiction that every carp angler can appreciate and remember forever. The bookazine will be published annually and include a series of incredible anglers from all over the UK and Europe. Watch this space. CarpLife is being co-ordinated by former carp magazine Editor Mat Woods, who was eager to provide a platform for new anglers and new faces to tell their stories. "I wanted to break from the idea that unless you were in the 'scene' and literally living and breathing carp fishing that your achievements didn't matter. They do," explains Mat. "For those of us who have to fit fishing in around everything else, those moments of joy don't come around so often, but that doesn't make them any less special. In fact, I'd argue that it makes them even more meaningful. "You also don't need to be an outrageous big-fish hunter to be involved. If you feel you've got an idea , contact us and let's talk. 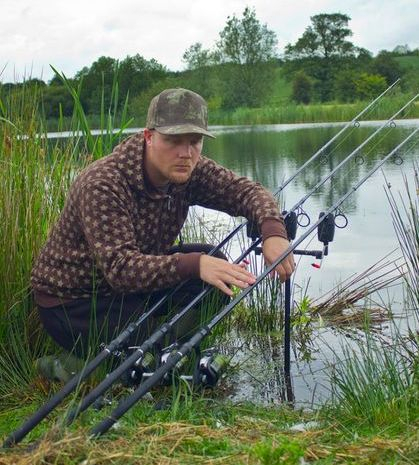 CarpLife is all about the journey, and that includes the great people we meet along the way."